Paul Bouvier is working with the International Committee of the Red Cross (ICRC) as the coordinator of the HELP course – Health Emergencies in Large Populations – and chair of the group on ethics in the practice of humanitarian action. The former ICRC Senior Medical Advisor, he is a medical doctor with specialization in pediatrics and public health, and Associate Lecturer at the Institute of Global Health, University of Geneva, where he has carried out research and prevention programs on child sexual abuse and violence. His work at the ICRC focuses on ethical issues in humanitarian action and training humanitarian professionals worldwide in public health and ethics to respond to humanitarian crises. When considering the shaping of a new generation of humanitarian actors, Dr. Bouvier stresses the importance of developing literacy and practical skills in ethics, to improve decision making in the field. Humanitarian actors, he explains, have lived with the idea that their activities responded in the best possible ways, to their high ethical aims. Some start to realize that in front of complex situations and dilemmas, bearing strong humanitarian values, principles and good will is not enough. We are faced in the field with very challenging, sometimes tragic situations; we have to make very difficult choices, with limited time and resources in front of high needs, and major operational obstacles, including violence and security threats. In order to make ethical decisions in such circumstances we need to recognize and analyze the ethical dimensions and bearings of our decions; and to initiate and ethical deliberation in our teams and institutions, in order to support the decision. This is the task of practical ethics, or practical wisdom in the field. The humanitarian sector is still far away from such ethical good practice. Ethics in humanitarian action is taken for granted, Dr Bouvier says. A striking example is given by a recent report from an influential think-tank, on operational decision-making in humanitarian response. The review provides interesting analysis of decision-making procedures and protocols, and more informal ways to intuitive, improvised or makeshift decisions, it does not, however, mention the ethical dimensions of difficult decisions in the field: ethics still seems to be implicit and present in all our activity; or perhaps is it conceived as a separate field, for the specialist philosopher and ethicists? either ways, our experience shows that this attitude leads to ethical tensions, sometimes leading to crises, at individual or group level, and when ethical drifts or errors do occur, they represent a major risk for the staff and team in the field, and the institution as a whole. Yet, this risk is still overlooked and ignored. In order to respond to these needs, training in practical ethics is essential. In 2008, a workshop on practical ethics in humanitarian action was introduced in the ICRC staff integration course, followed by the HELP courses. Since then, the learning approach has been simillar, starting with group sharing and reflection on ethical challenges experienced by participants in their own professional activity. Then the group would choose one case to share with all. This case would be analyzed following a process of ethical analysis and decision-making, before summarizing ethical values and principles in humanitarian action, and the process of ethical decision-making. This approach, starting from situations brought by the participants, proved to be very successful in very different contexts, with different ethical background and traditions, including Switzerland, Qatar, China, Mexico, Kenya, Cuba, Iran, Lebanon, Benin, and the USA. Based on this fruitful experience, the HELP course recently introduced the Humanitarian Health Ethics Analysis Tool – HHEAT – and used cases from the HHE collection. This approach proves to be also very successful. Key success factors of the HHEAT approach is that, firstly, the cases from the collection bring ethical difficult decisions from the field; secondly, it invites the participants to reflect by their own, to share their reflection in group, and open a deliberation with others, in order to reach a decision; and, most importantly, it does not propose a solution to the case, so leaving a space for reflection and sharing experience. This approach of practical ethics certainly needs skills, experience, and time also, in facilitating the sessions. Managing these learning sessions obviously need strong background on practical ethics, with clear understanding of humanitarian ethical values and principles, as well as good knowledge of, and openness to other cultures and ethical traditions, combined with a clear view of ethical duties and absolute limits, across cultures, notably in front of extreme violence. Using the HHEAT cases and tool, Dr Bouvier concludes, has some advantages in this respect, from the fact that they wre developed in the context of an international collaboration between academic and humanitarian institutions, in which the ICRC took part. This initiative is deemed to play a very active role in developing ând promoting practical ethics in humanitarian action. The scope of this approach should not be limited to health care, Dr Bouvier suggests, but will very soon expand to the other dimensions of the humanitarian response, including assistance and protection. 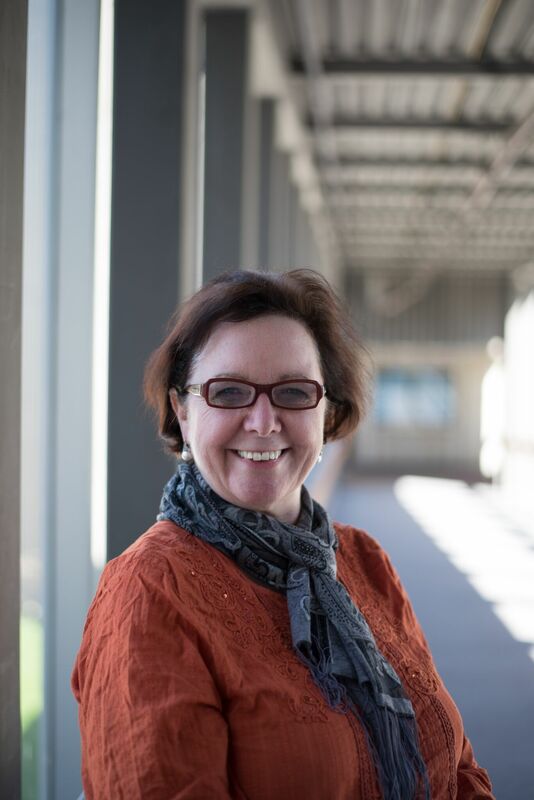 Joan Marston is based in South Africa and comes from a background in Nursing and Social Science. She is the Global Ambassador of the International Children’s Palliative Care Network (ICPCN) having served as its Chief Executive. She was one of the founding members of the original ICPCN Steering Committee in 2005. More recently, she has also been part of the group that developed the new Guidelines for Persisting Pain in Children, as well as Guidelines for Disclosure in Children for the World Health Organization. With twenty-nineyears of experience in palliative care for children, she has provided this specialized care in the roles as Executive Director of Bloemfontein Hospice and as founder of the Sunflower Children’s Hospice in 1998 in Bloemfontein, South Africa, alongside her work in a regional network for life-limited children, the St. Nicholas Bana Pele Network in 2009. As the national paediatric development manager for the Hospice Palliative Care Association of South Africa from 2007 to 2010, Joan and her team developed a strategy for a national network of services, promoting the considerable growth of the number of paediatric palliative care services for children in South Africa. During that time she was the Project Manager for a programme to develop children’s palliative care Beacon centres in Tanzania, Uganda and South Africa. A committed advocate for children’s right to palliative care and pain relief, Joan has also worked towardsresponsive palliative care for children and adultsduring acute and protracted humanitarian crises. When asked about some of the ethical dilemmas humanitarian healthcare workers might face when confronting terminally ill or injured children, she said, these include prioritising of scare resources such as personnel, time and medicines when saving lives is critical, especially when palliative care is seen as non-essential. Withholding or withdrawing treatment that could prolong life, spending time with a dying child when personnel are needed to deal with acute emergencies, and developing/using comforting child-relevant communication are additional ethical issues. Practically, lack of training in and understanding of palliative care and pain relief in children by humanitarian first responders—as few have paediatric formations—and a lack of palliative care workers in humanitarian situations is a main contributing factor to the development of ethical dilemmas. Humanitarian healthcare workers may also find themselves overwhelmed by the number of adults needing care, or by the reality that adults may leave an ill or injured child due to their own inability to face the issue of children dying. Undoubtedly tragic choices along the lines of those listed will need to be made in harrowing circumstances, but collaboratively making those decisions is part of the work Joan Marston and the larger networks she is involved in continue to work on in order to mitigate and minimize their difficulty. Photo courtesy of Olive Wahoush. Dr. Olive Wahoush has been an advocate and researcher of refugee health care since 1987. She came to this topic first through teaching undergraduate nurses maternal newborn health in a refugee camp in Jordan in the 1987 and later through hospital administration and volunteer roles in Pakistan and Canada. Olive trained as a nurse in Northern Ireland during the 1970s a period of civil conflict, during that time she was exposed to ethical issues around triage, resource allocation, discrimination, and direct patient care. Later during her time as a nurse educator and leader in the Middle East and Pakistan she became interested in global health issues when she was exposed to situations where populations were on the move, capacity development was essential in health service programs and in health professional education. Olive emigrated to Canada in 1992 and continued to build on her interests in maternal and child health, community engagement and outreach to include vulnerable and underserved groups in Hamilton and Toronto. She completed her PhD at UofT and her doctoral research examined health care access and experiences of refugee and refugee claimant families in Hamilton. Through her roles at the School of Nursing at McMaster University, Olive was instrumental is leading and promoting research with refugees, newcomers and other underserved populations. Many undergraduate and graduate students now complete experiential learning placements in Hamilton, Toronto and Internationally with agencies serving refugees and other underserved groups. When it comes to health for refugees as they work to settle in a new environment, Olive sees equitable outcomes as a fundamental ethical concern, it is not enough to focus on access, some people need more help than others to get to the same outcome. For example newcomers such as refugees need time, language development and information about their adopted country and the new systems they need to use to live well. When asked about what the main priorities are for refugee healthcare abroad, Olive identified respect and recognition of refugees’ situations and conditions [or, refugeedom] as a priority area for researchers concerned with ethical dimensions of care or of research. Although there are common concerns across refugee populations that enable rapid response programming, there are also significant differences related to the circumstances such as war or climate change and history affecting populations, settings and individuals. Recent research Olive has been involved in or leading include studies focused on reproductive health, health and resettlement of refugee and refugee like families in Canada and exploring the selection process for refugees in transit countries like Jordan. She has recently become a co-investigator on the HHE project exploring ethical aspects related to palliative care in humanitarian crisis situations. She has made invaluable connections with practitioners, academics and researchers on the ground in Jordan in order to learn about the provision of palliative care in refugee contexts (in camps and in urban settings) in that country. Gautham Krishnaraj is a MSc Candidate (Global Health), 2016 RBC Students Leading Change Scholar, Canadian Red Cross Youth Advisor and the newest trainee of the Humanitarian Health Care Ethics Research Group at McMaster University. During his undergraduate studies at McGill University (BSc. Microbiology & Immunology), he held various federal student research assistantships in Analytical Chemistry, Microbiology, and Plant Genetics, as well as contributing to research in the Department of Chemical Engineering at McGill. Seeking to expand his perspective beyond the bench top, he was also passionately engaged with the Young Diplomats of Canada (YDC) and the International Relations Students Association of McGill University (IRSAM Inc). Within these organizations he served as Head Delegate to the OECD in Paris, and the United Nations in New York respectively, and notably co-facilitated and addressed a Civil Society Briefing Session at the 54th Commission for Social Development. For the past three years, Gautham has worked closely with the McGill Humanitarian Studies Initiative and Montreal-based HumanitarianU. This engagement led to him actively assisting in the production of training protocols for field staff as part of the International Medical Corps’ Multi-Agency Training Collaboration to Support the Ebola Response in West Africa in 2014. Gautham continues to provide logistical support for Field-Based Humanitarian Disaster Simulations (SimEx) with HumanitarianU. He is also an accomplished spoken word poet, and co-founded the national non-profit organization Raise Your Voice Canada in 2012, which sought to engage youth in public discourse through debate and spoken word poetry. Gautham currently serves as a Youth Advisor to the Canadian Red Cross and continues to believe in the power, and necessity, of engaging youth in civic discourse and humanitarian action. During the 2009-2010 H1N1 influenza pandemic I began working as a research coordinator with the ‘Canadian Program of Research on Ethics in a Pandemic’ (CanPREP). Hosted at the University of Toronto’s Joint Centre for Bioethics, this program of research involved engaging the Canadian public on ethical issues in pandemic preparedness and response (e.g., the use of restrictive measures like quarantine;1 physicians’ duty to care;2 setting priorities for scarce resources;3 and issues pertaining to global governance4). What became apparent to me when examining the ethics discourses in pandemic planning and response was that a common and unsubstantiated assumption exists; namely, that the ethics of global public health emergency preparedness and response is perceived as being distinct from the way we think about ethics in what might be considered ‘quotidian’ public health. For example, Kirkwood suggests that “there must be an ‘escalator clause’ in the utilitarian aspect [of resource allocation] that suggests that in the event of an extensive threat to the existence of a population, the force of this utilitarian aspect becomes the primary consideration in proportion to the threat…the greater the threat, the greater the moral force of utilitarianism in making public health decisions”.5 As another example, Veatch asks whether, in public health emergency preparedness and response, we should “retreat to the utilitarian ethic, making an exception to the ethic of justice that generally prevails in American ethics”.6 Do we tend to be more utilitarian in the way we think about preparing for and responding to public health emergencies as compared to the way we make public health decisions in non-emergency contexts? This question motivated me to focus my doctoral research on examining the extent to which the perspectives of Canadian public health policy-makers involved in public health emergency preparedness and response are similar or different than those involved in other areas of public health, like chronic disease prevention, specifically in regards to how social justice is conceptualized and negotiated in their work. Using qualitative interview methods, I found that the perspectives of my study’s participants appeared to be influenced by the perceived goals and contextual features that belong to the programmatic area of public health in which they practiced. For instance, policy-makers involved in public health emergency preparedness and response described this area’s principal aims as saving the most lives and producing the ‘greatest good’. Justice-based considerations, interpreted almost entirely in terms of equity, were perceived as being external, or even as being impediments, to these consequentialist, if not utilitarian, aims. Policy-makers involved in chronic disease prevention, on the other hand, described this area’s central aims in terms of equity and justice; its purpose involves understanding and targeting the unique needs of different populations in order to produce equitable outcomes. On my interpretation, my study’s findings indicate that the perceived role of social justice considerations in public health emergency preparedness and response may be distinct from how their perceived role in chronic disease prevention; where justice-based considerations are perceived to be part and parcel of the aims of chronic disease prevention, they are perceived as external to, if not constraints upon, the ‘prior’ aim of public health emergency preparedness and response, which is to minimize morbidity and mortality for the greatest number. The findings of this study have led me to consider whether the way we think about justice in the humanitarian context might be distinct from how we think about justice in public health and global health more generally, and if so, whether this is ethically justifiable. Smith MJ, Bensimon CM, Perez D, Sahni S, Upshur REG. (2012). Restrictive Measures in an Influenza Pandemic: A Qualitative Study of Public Perspectives. Canadian Journal of Public Health, 103(5): 348-352. Bensimon CM, Smith MJ, Pisartchik D, Sahni S, Upshur REG. (2012). The Duty to Care in an Influenza Pandemic: A Qualitative Study of Canadian Public Perspectives. Social Science & Medicine, 75(12): 2425-2430. Silva DS, Gibson JL, Robertson A, Bensimon C, Sahni S, Maunula L, Smith MJ. (2012). Priority Setting of ICU Resources in an Influenza Pandemic: A Qualitative Study of the Canadian Public’s Perspectives. BMC Public Health, 12: 241-252. Thompson A, Smith MJ, Bensimon CM, McDougall C, Perez DF. (2015). “With Human Health it’s a Global Thing”: Canadian Perspectives on Ethics in the Global Governance of an Influenza Pandemic. Journal of Bioethical Inquiry, 12(1): 115-127. Kirkwood, K. (2010). In the Name of the Greater Good? Emerging Health Threats Journal, 2(E12), 1-3. Veatch, R. (2005). Disaster Preparedness and Triage: Justice and the Common Good. The Mount Sinai Journal of Medicine, 72(4), 236-241. Max Smith is a Banting Postdoctoral Fellow at the Institute for Health and Social Policy at McGill University. The lasting impression of participating in a medical mission to Olongapo City, Philippines in 2008 inspired me to pursue a PhD in Health Policy. Policy is far-reaching: the ability of good health policy to improve the well-being of large groups of people – and of poor health policy to degrade it – is humbling. Since joining the Health Policy PhD Program at McMaster University, I have been immersed in policy analysis and theory. My research, conducted under the guidance of Dr. Lisa Schwartz, focuses specifically on the nature of ethical challenges arising from humanitarian aid agency policies during disaster and conflict response. In-depth, qualitative interviews with organizational members from international aid agencies have shed light on how policy both helps and hinders in various contexts. With keen anticipation of their contributions to the humanitarian sector, I am looking forward to disseminating these findings shortly. The interdisciplinary nature of the Health Policy PhD Program has allowed me to flourish. It has pushed me to create my own path and transcend disciplinary boundaries, while at the same time develop a shared language by which to communicate with colleagues. I am grateful for the collaborative approach the program has instilled in me, and look forward to continued opportunities to help advance humanitarian healthcare ethics. This past summer I had the incredible opportunity to join the World Health Organization (WHO) as a Research Intern for three months. At WHO I joined the Global Health Ethics Unit, which is part of the larger Research, Ethics, Knowledge Management Department. The majority of my internship focused on the creation and execution of a qualitative descriptive research study. Entitled “Ethical Issues Associated with Implementation Research: A Descriptive Qualitative Analysis of the WHO Experience from 2005-2015,” this study consists of a document analysis followed by two focus group sessions, one with WHO Technical Officers, and one with past and present WHO Ethics Research Committee (ERC) members. The purpose of this study is to identify and understand the ethical issues identified by the WHO ERC in its review of Implementation Research (IR) projects submitted for ethical review at WHO. The results from this study will be used to raise awareness on the ethical issues arising in IR and to build capacity of researchers and ethics committees involved in the conduct and review of IR, respectively. The results will also potentially be used to inform a global guidance document on ethical review of IR. In addition to this research project I also was a member of the WHO Intern Board as an Intern Advocate, where I helped connect interns with WHO staff to engage in professional development and networking opportunities. Finally, I was also responsible for the creation of an Intern Alumni platform for the Global Health Ethics Unit, as well as the Global Health Ethics newsletter. In summary, I used my time in Geneva to expand my professional network, and had productive meetings with the International Committee of the Red Cross, Médecins sans frontières, the Council on Health Research and Development (COHRED), and the Geneva Centre for Education and Research in Humanitarian Action (CERAH). of how these systems are organized and managed, and how they perform. The purpose of my doctoral thesis is to examine how global health research governance is being understood, developed and currently used in the Canadian national health research system. Briefly, my thesis will generate an inductively derived, reflexive, global health research governance model for Canada. Through this work I intend to identify specific value criteria that are indicative of good global health research governance. Foregrounded will be the contribution of global health research ethics to governance beyond research ethics review, and discerning how values are known and reflected in the governance of national health research systems. Once this model of Canadian global health research governance is known, I will be conducting a case study of a global health research partnership (Canada and Zambia) to determine the current reflexivity of the Canadian model and determine what, if any, recommendations for policy and health systems strengthening could be made. Julia Pemberton is a 3rd year student in the Health Research Methodology PhD at McMaster University, a CIHR Banting & Best Canadian Graduate Scholar, and a recipient of both the CIHR Douglas Kinsella Award in Bioethics and the CIHR Michael Smith Foreign Study Supplement Award. I learned a great deal as I worked through my courses and I quickly came to understand the gist of most discussions. As my readings progressed and the classes became more focused, I found myself wanting to get more experience in issues related to humanitarian and military ethics. Around the same time, my co-supervisors, Drs. Bryn Williams-Jones and Matthew Hunt, were establishing a new research project, the Ethics in Military Medicine Research Group (EMMRG), and I joined the team and eventually formulated my PhD proposal around one aspect of this larger study. Following the proposal defence, I signed on as a doctor with the International Committee of the Red Cross (ICRC) and was assigned to work as the ICRC’s first doctor stationed in the Gaza Strip and assigned to work specifically on health care in places of detention. As I was in the thesis writing phase of my PhD at this time, I felt motivated by the idea that I would merge my goal of being deployed as a doctor in humanitarian contexts with the parallel goal of finishing my thesis. However, the prelude to and unravelling of the 2014 war in Gaza brought with it a host of unexpected events that delayed my formal writing about ethics yet was informed my understanding of how ethical issues are structured, manifest and evolve in humanitarian settings. The topics that I had until then only explored theoretically came to life with startling – and, at times, devastating – clarity. Issues relating to resource allocation and standards of care, dual-loyalty conflicts, and operational challenges in times of war interspersed with events that news reports from the period documented as mass hunger strikes, allegations of ill-treatment, forced-feeding legislation, and dual-use technologies. During my mission in Gaza, I continued writing and remained connected to the academic ethics community. For example, I was invited to present at the 2014 International Congress of Military Medicine’s annual Ethics in Military Medicine conference regarding a project undertaken by the Ethics in Military Medicine Research Group (EMMRG), of which I and my PhD supervisors (Bryn Williams-Jones and Matthew Hunt) and other researchers are members. During the question and answer session of my presentation, one of the audience members noted that “ethics, like military training, becomes better with practice.” In the ensuing months, this statement echoed in my mind as I came to appreciate its importance through practice. I realized that while we may use conceptual frameworks, tools, and guides to help us frame ethical issues, clarify discussions and generate possible resolutions, in the absence of directed study, reflection, and debate, ethics training without practice renders us ill-equipped for the real task: to become better at ethics by ‘doing ethics’. This engagement is critical and I understood in retrospect, as my mission carried on, that my colleagues and I needed more tailored ethics training and practice to resolve the ethical issues that we were immersed in. This led to a period of reflection about professional ethics in the humanitarian sector and the drafting of several internal documents on this issue. Following the end of my mission in Gaza, I returned to Canada and resumed working in earnest on the completion of my PhD. Yet personal events and professional opportunities took me to a country that had always fascinated me: Afghanistan. As the Health in Detention Program Manager for Afghanistan, I was tasked with overseeing all of ICRC’s health programmes in detention-related settings. In this role, I became engrossed in an environment and culture that was familiar yet foreign. Though I was familiar with the language and customs of the region, my experiences there presented me with a larger scale of professional and ethical challenges. During this time, I travelled extensively within and beyond Afghanistan’s borders, jumping on ICRC and UN flights in cramped, propeller-driven aircraft on an almost weekly basis, from Kabul and Bagram to Kandahar and Herat to Mazar-e-Sharif and Dushanbe, Tajikistan and beyond. I debated about the ethics of our programmes and the actions of the wider humanitarian community with colleagues within the humanitarian sector and friends back home. In interacting with them, I came to realize that our humanitarian space was constrained, at times shrinking, and required constant reinforcement — all issues that I came to understand better as a consequence of my ethics training. Towards the end of 2015, I was recruited to work at the World Health Organization’s Eastern Mediterranean Regional Office as a member of the inaugural Emergency Operations team. Working at a regional level in contexts confronted with various categories and levels of emergencies, I travelled extensively in the region and was responsible for assisting my emergency response colleagues in countries such as Syria, Iraq, Somalia, Afghanistan, Iraq, Yemen, and Libya, among others. Throughout my work and travels, ruminations on issues that crossed boundaries between humanitarian, professional, organizational, and public health ethics swirled in the back of my mind while the foreground of my experiences framed them in vivid detail. Given my supervisor’s encouragement to join her in exploring issues using our common training in ethics, we began to increasingly include ethical considerations and analyses in our review of programs and policies. These experiences bring me now to the present, a moment that is well beyond my original projection of how long it would take to “quickly wrap up my thesis” and far from the level of French mastery that I’d hoped to attain. Still, as I approach the final stages of this journey, I don’t find myself regretting the detours I’ve taken; instead, I realize that my writing ‘about ethics’ has been enriched by my attempts to ‘do ethics’. Brett Sutton is Public Health Registrar at Burnet Institute in Melbourne, Australia. He currently works with the Department of Health and Human Services Victoria, the Macfarlane Burnet Institute for Medical Research and Public Health (Burnet Institute), and is an Adjunct Lecturer with James Cook University. He is a Fellow of the Royal Society for Public Health and the Australasian College of Tropical Medicine. Brett is passionate about Public Health, which has both inspired and led his career trajectory. He had a 10-year career in Emergency Medicine including as deputy director of a rural Tasmanian ED. This was followed by several years of field-based international public health. He worked primarily in international public health in Afghanistan, Ethiopia, Kenya and Timor-Leste. This included work in child and maternal health, disease surveillance, TB and refugee health. On return to Australia, he has worked in the Communicable Disease Prevention & Control Unit and Office of the Chief Health Officer at the Victorian Department of Health and Human Services. He moved to Burnet in 2016 for a 12-month secondment. He is currently assisting with the Victorian Hepatitis C elimination strategy. His expertise is in synthesising clinical work with international and local public health experience. Christine is completing her final year in the Bachelor of Health Sciences program at McMaster University. She spent the last six summers working with healthcare teams near Inner Mongolia, enabling her to gather local perceptions of poverty, power and justice within humanitarian contexts. Exploring communities’ priorities and experiences of aid has brought her into proximity with narratives of neglect, exploitation and resiliency surrounding the country’s widening ethnic inequalities and rural-urban divide. She has witnessed the region’s evolving public health landscape over the years, allowing her to investigate the sustainability and effectiveness of humanitarian practices. Christine’s field experience has fueled her interest in development economics and global health ethics, which have led to opportunities working with the Health Impact Fund and the Centre for Ethical, Social and Cultural Risk at the Li Ka Shing Knowledge Institute. Christine also co-founded the first Student Chapter of the Canadian Coalition for Global Health Research (CCGHR) that is currently developing the Global Health Agora, an inter-professional community engagement platform. Through partnerships with key Hamilton informants, they are exploring moral themes of lust (sexual violence), pride (racism & discrimination), wrath (war & terrorism) and gluttony (obesity & hunger) as glo-cal health challenges. The CCGHR Student Chapter continues to benefit from the incredible mentorship of HumEthNet members, such as Lisa Schwartz and Elysée Nouvet, whose dedication to student learning has provided Christine with unique opportunities for academic and personal growth.